Cool-Cast offers supportive, antiphlogistic care and treatment to help reduce inflammation, swelling and tenderness. 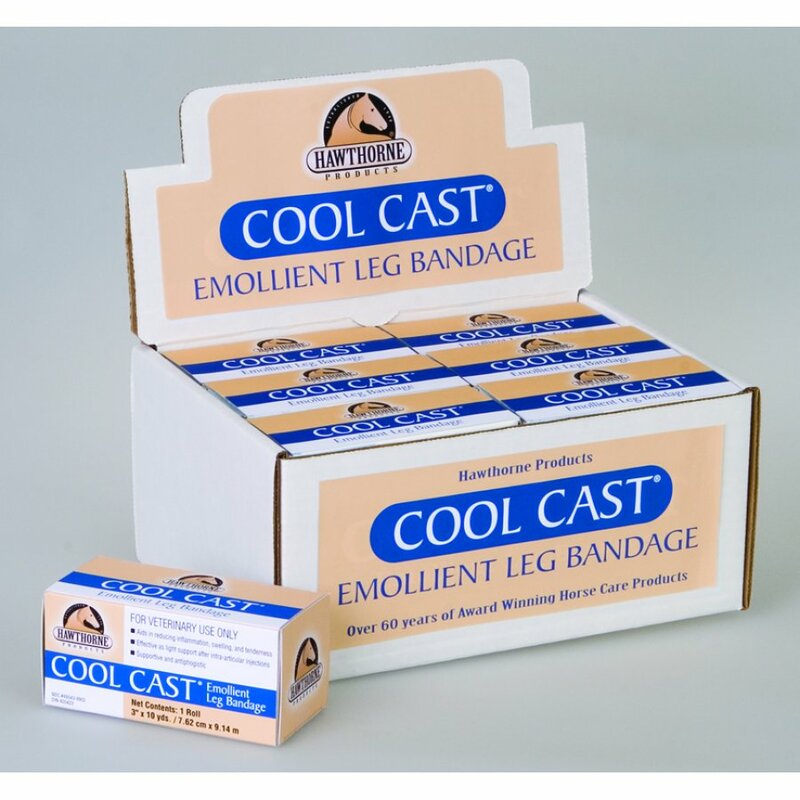 Cool-Cast is effective as light support after intra-articular injections. Equine Cool Cast has different options and/or variations, please choose below. Cool-Cast has been approved for human use as well, and is excellent on sprains and strains! Just apply the Cool-Cast with two or three wraps, then over-wrap with an elastic support bandage to keep the medication inside. Made in the usaGlycerin, Zinc Oxide, Calamine, Menthol.